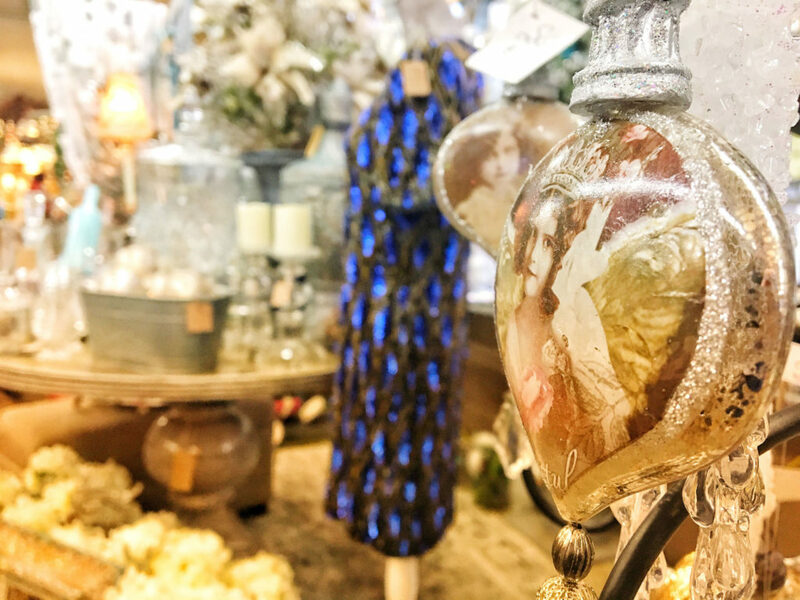 One of the best antique shopping spots in Portland. 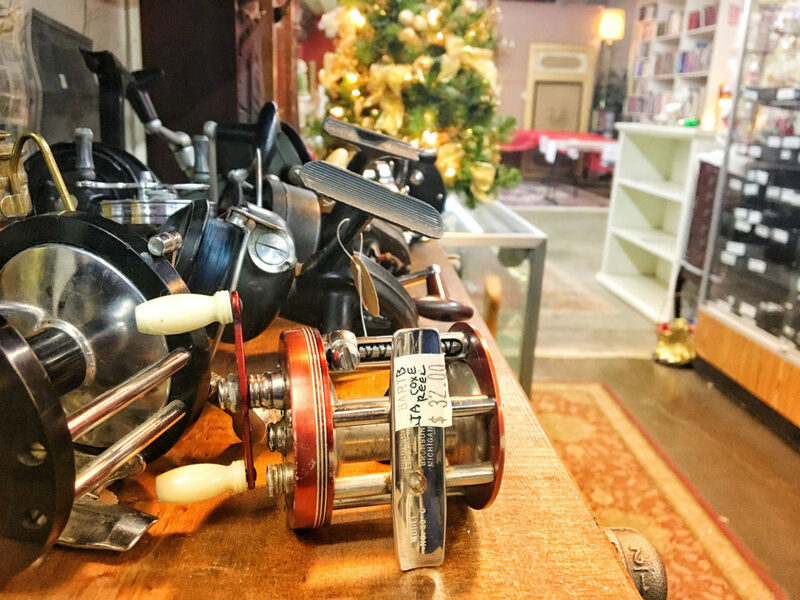 Over 100 dealers, rows and rows of furniture and antiques, plus an on-site cafe to keep you fueled with coffee and mimosas. Win-win! 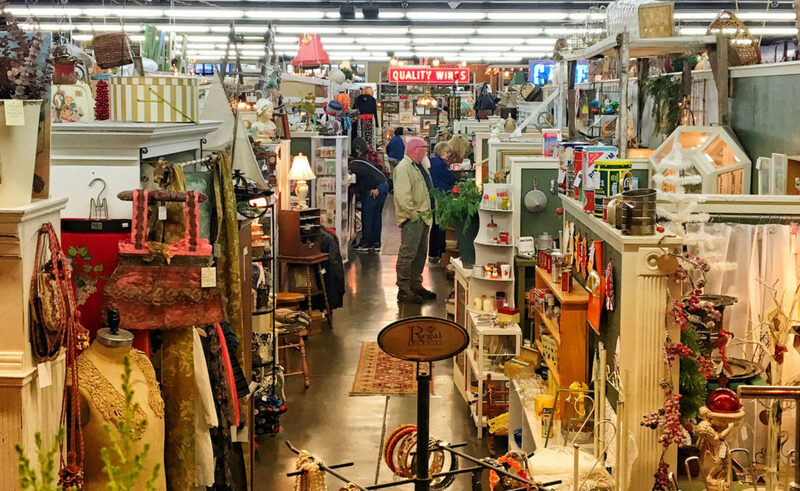 If you have a collector, picker, or vintage lover in your life, you need to stop in at Monticello Antique Marketplace out in the Montavilla neighborhood in outer SE Portland. 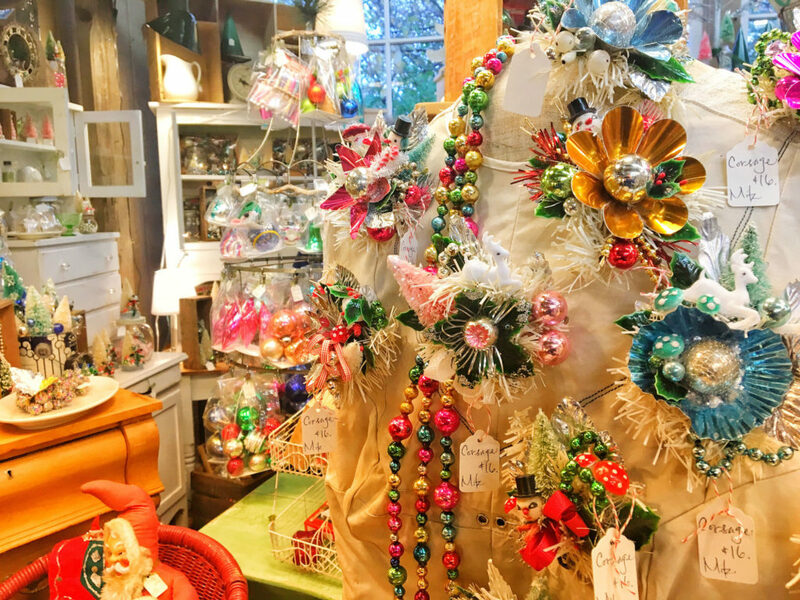 Monticello is one big marketplace with dozens of vendors selling clothing, decor, glassware, furniture and even garden decor. The main room is full of high quality dishes, glassware, clothing, hats…. you know all the stuff antique stores sell. Then out in their “salvage garden” are all kinds of furniture and outdoor decor. This is a store that is designed for leisurely browsing, they even have an onsite coffee shop and they sell Mimosas that you can sip while wandering the aisles. 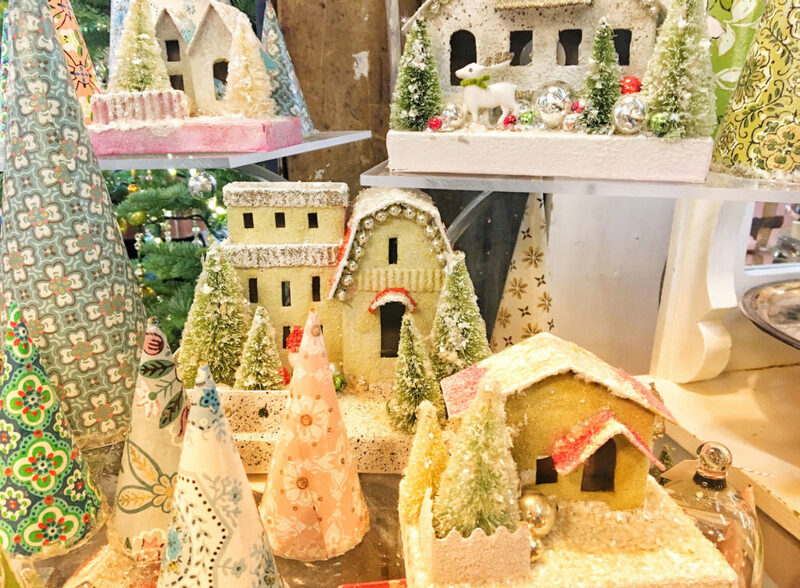 They have a few big events through out the year including a Home & Garden Show in the spring and a Christmas Marketplace in December. I loved loved LOVED the decorations at the Christmas Marketplace. 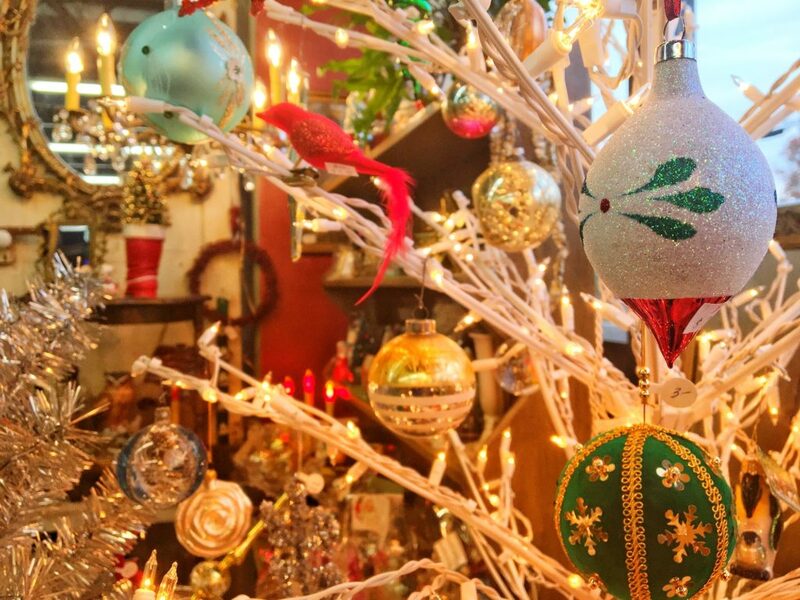 Bottle brush trees, vintage ornaments, wreaths, and all kinds of Santas. It was so much fun to sip a hot cup of coffee and take my time looking around. It might be tough to buy gifts here, but I highly recommend this place if you want to add vintage decor to your Christmas collection.